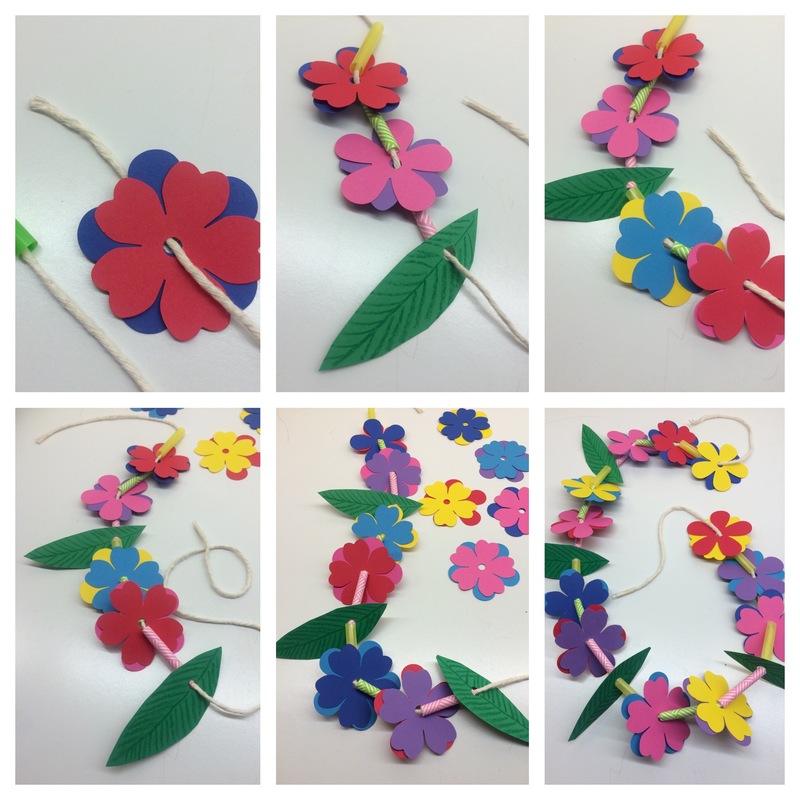 Ask children to choose about 20 flowers and a few leaves for their lei. If using 2 types of flowers like I did, choose 10 of each flower. Now we need to sort them. We’ll be stringing the flowers 2 at a time so we need to pair our flowers in pretty combinations! 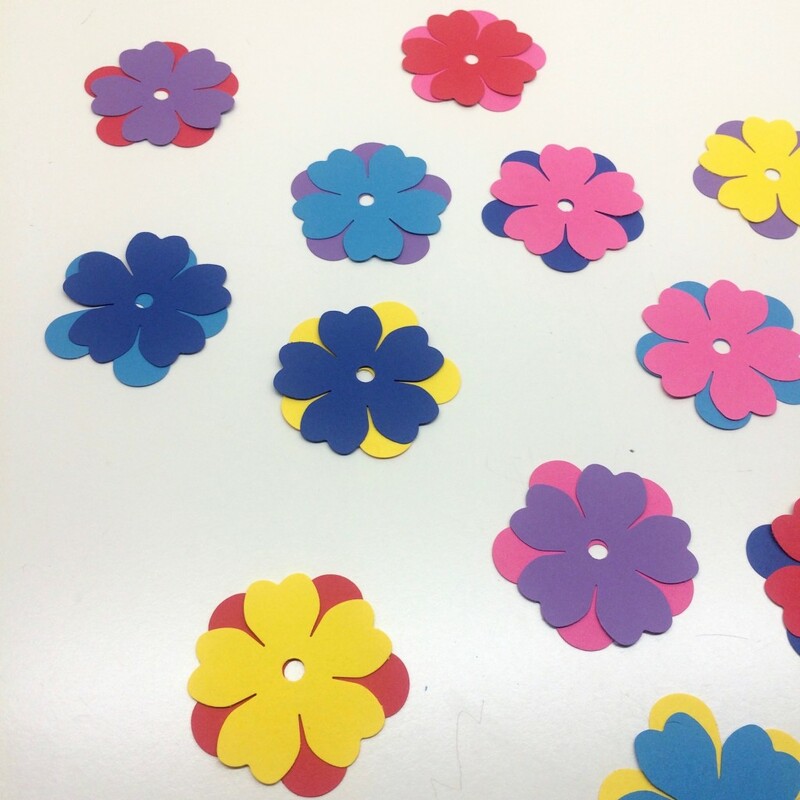 Step 1 (group flowers): Group your flowers in piles of 2, choosing a variety of different color combinations! We’re going to use pieces of straws to separate our pairs of flowers and leaves. Let’s cut straws into 1.5” pieces! Step 2 (cut straws): With the help of a grown-up, cut 2 to 3 straws into 1.5” pieces. 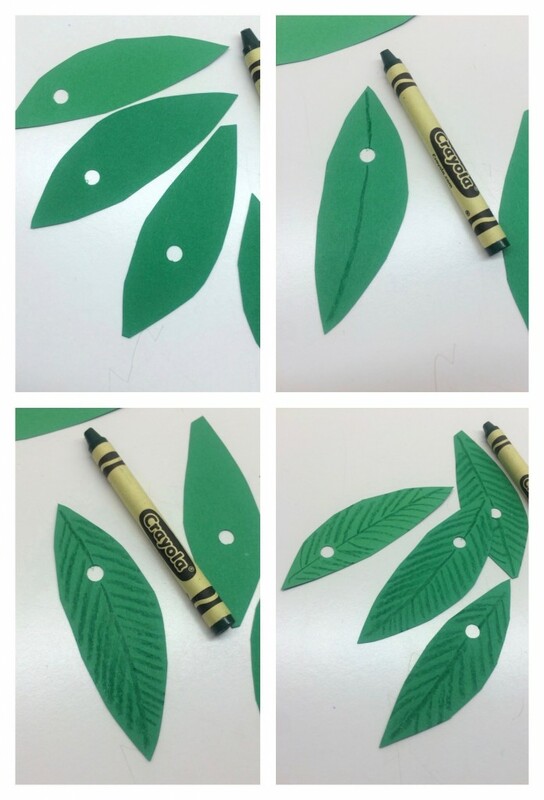 Now we’re going to use green crayon to draw details on our leaves to make them more realistic. Look at pictures of Hawaiian leaves and notice the veins! Step 3 (crayon leaf details): Using a green crayon, draw a line down the middle of each leaf then draw veins (lines) on each side. 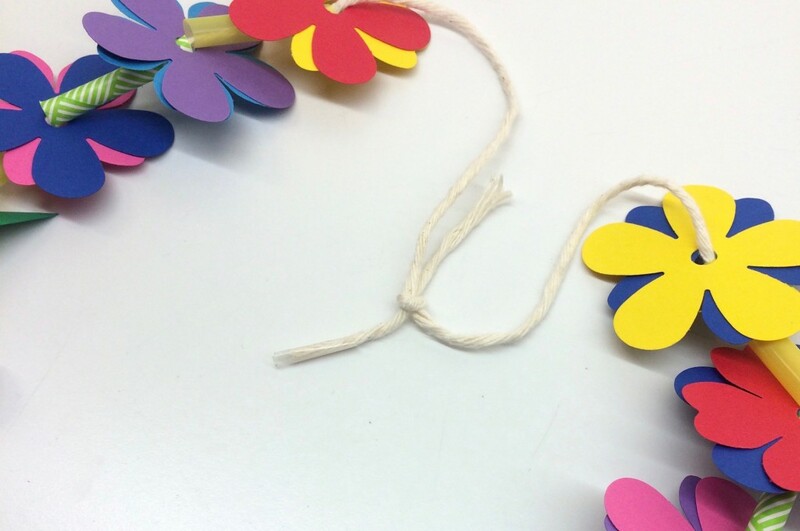 It’s time to put our leis together! Choose a pattern to follow. 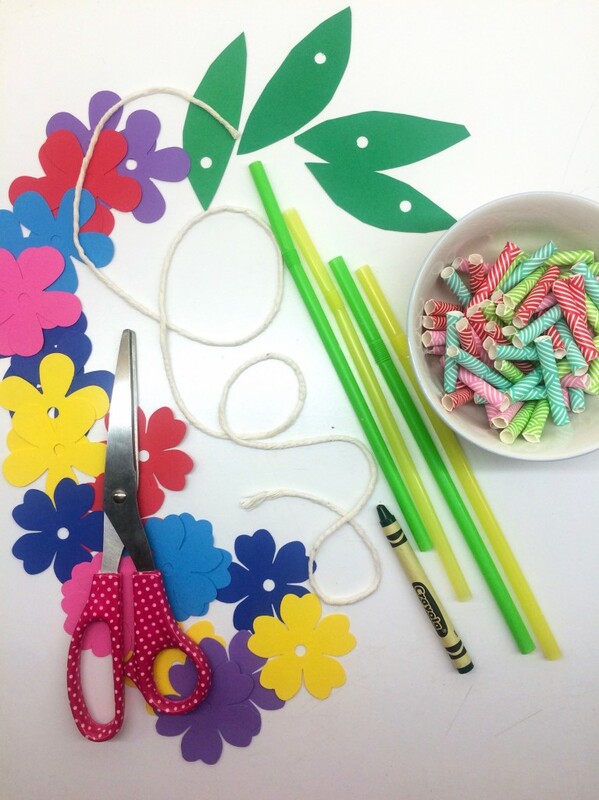 Step 4 (thread flowers, leaves and straws): Thread flowers, leaves & straws on string following a pattern. 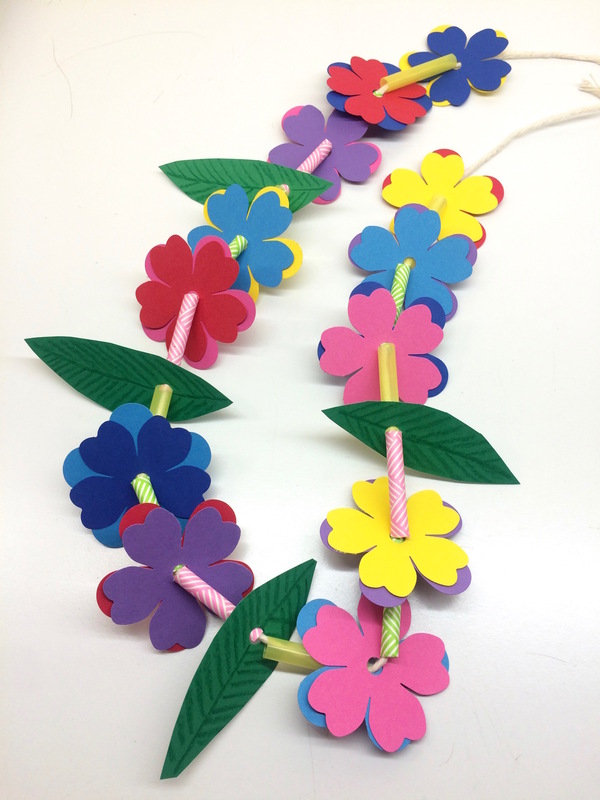 Step 5 (tie string): With the help of a grown-up, tie a knot with both ends of string to complete your lei! 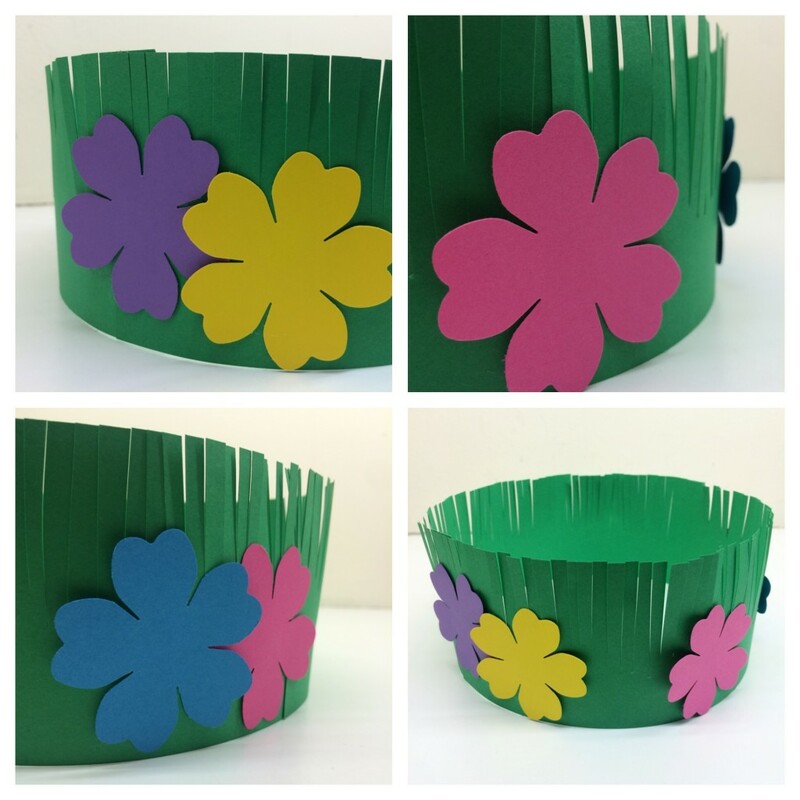 Ask children to choose 1 strip of green paper to make their crown. To create the look of grass, we’ll be making little cuts on one side of our paper strips. 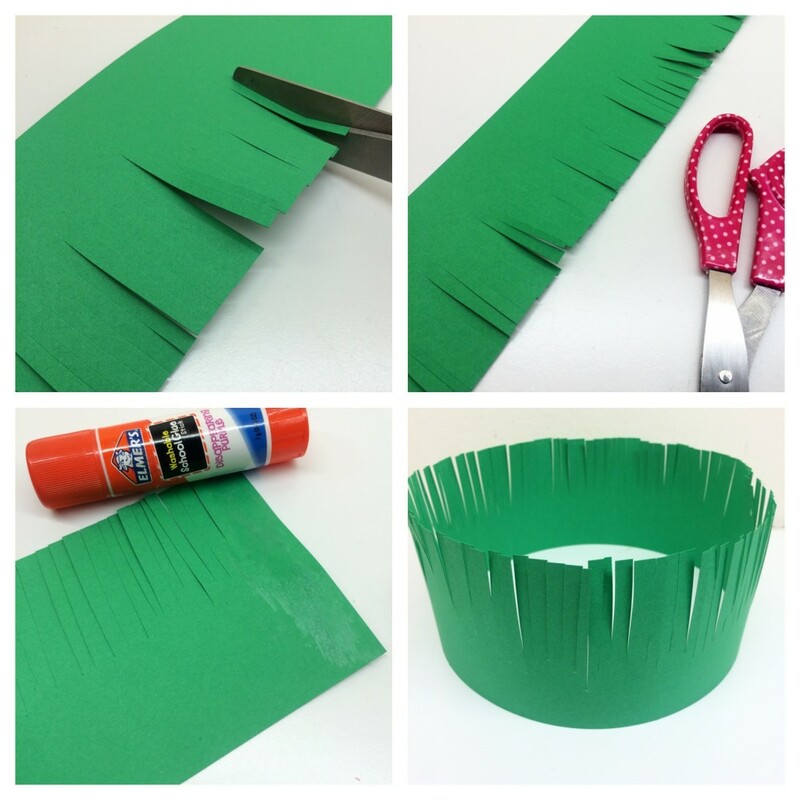 Step 1 (make grass): With the help of a grown-up, cut one side of your green paper to look like grass. 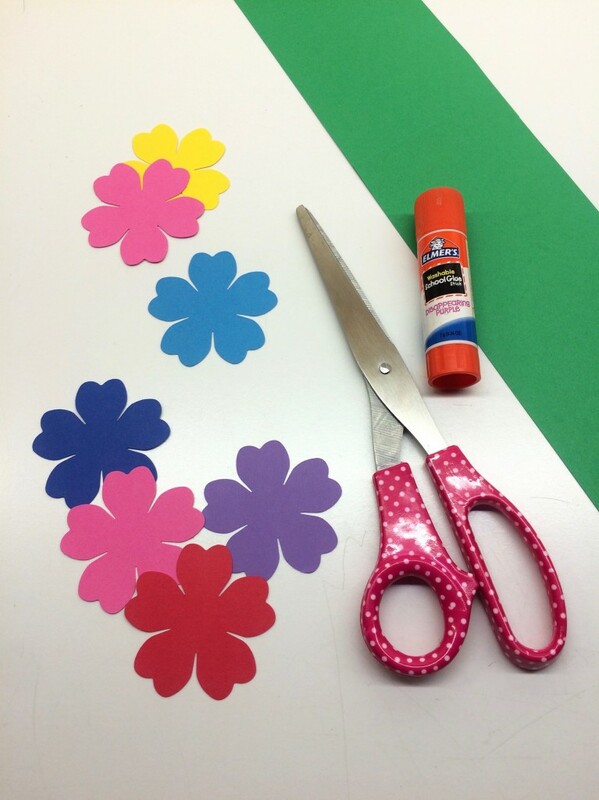 If initial cuts create wide pieces of “grass”, continue cutting those wide pieces to create smaller pieces! Ask adults to help children measure their grass strip around their heads to decide where to glue it together. Step 2 (make crown with strip): Wrap your crown around your head to decide where to glue then glue together to create your crown. Hold in place for a few second to seal in position. It’s time to add flowers to our crowns! 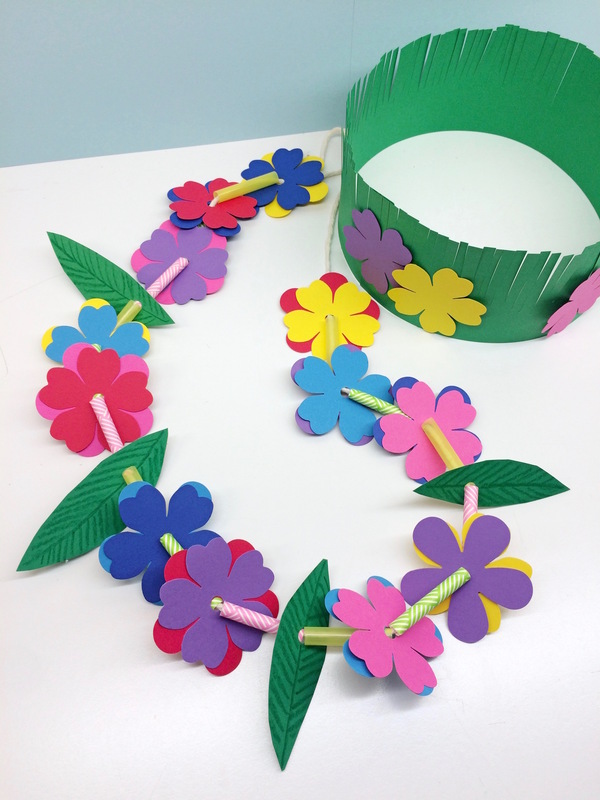 Step 3 (decorate with flowers): Glue colorful flowers to your crown!